AAG 2015 Mobile Syllabus: Black Lives Matter meets Why is my curriculum white? 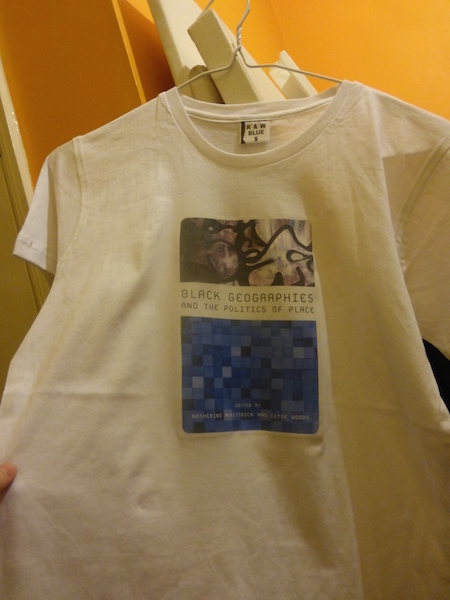 This is a note for the participants (and anyone interested) in the t-shirt ‘book bloc’ protest at the AAG in Chicago. T-shirts can be picked up on Wednesday between 9.30am and 7pm at Michigan A, Hyatt, East Tower, Ped Path. Alternative deliveries can be arranged. You are free to also just stop by and browse the wearable library. We are currently at 35 t-shirts and a list of over 50 authors, which will be posted during or after the AAG. We printed only on second hand t-shirts (from charity shops, washed) and factory b-stock from street markets in the hope of making an additional contribution. Due to budget limitations, we could only do iron-on prints. Our ‘mobile syllabus’ tried to respond to both sets of comments, by including the following groups of books/authors: – authors who have pointed our structural racism across time – books that appear to be missing on many syllabi – books that are making radical demands or are giving case studies of radical projects – books that have inspired a change of thinking in the t-shirt wearers – themed session books (e.g. 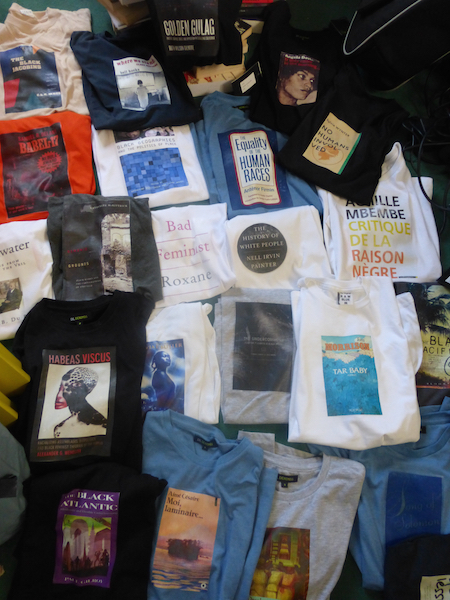 for the feminist geophilosophy session) We hope that these books/t-shirts/syllabus will be provoking further debate at the AAG and beyond.